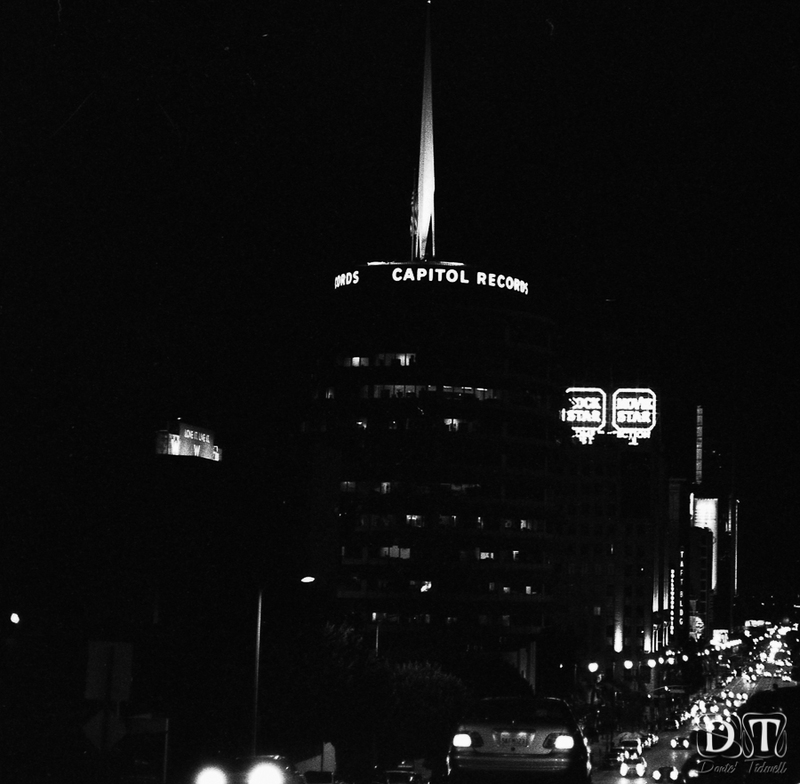 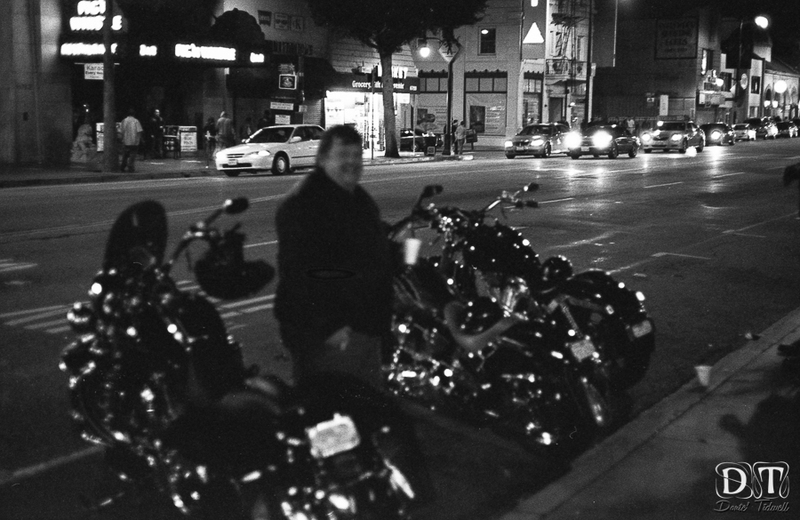 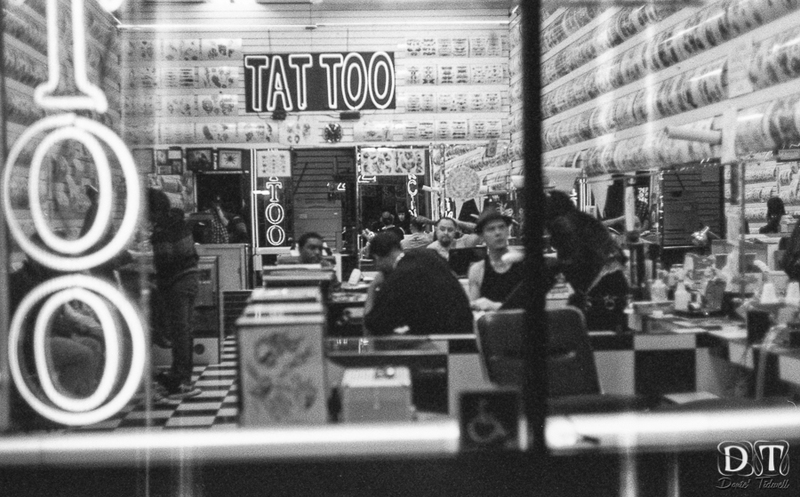 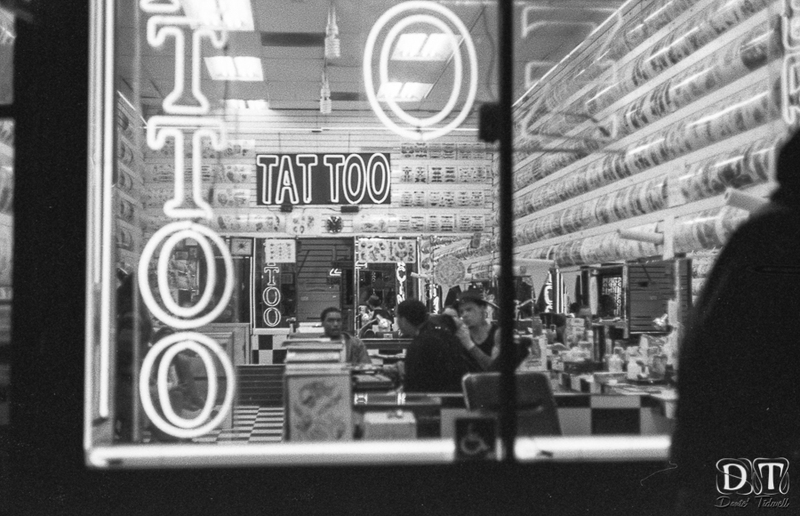 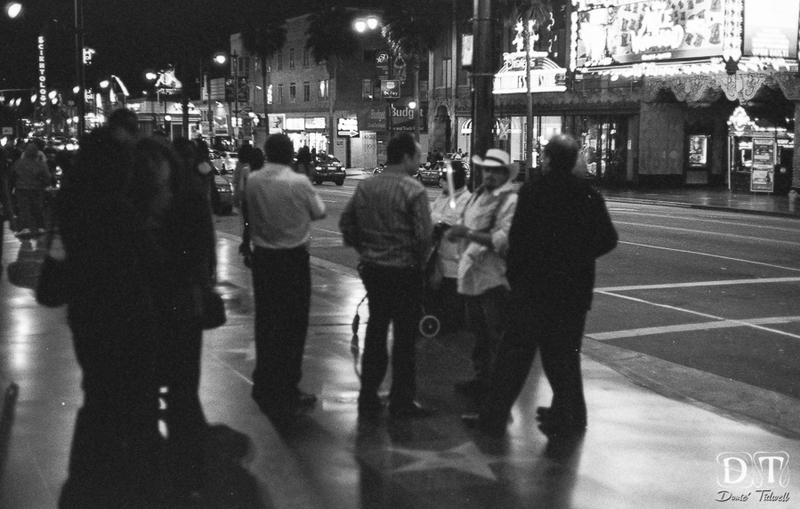 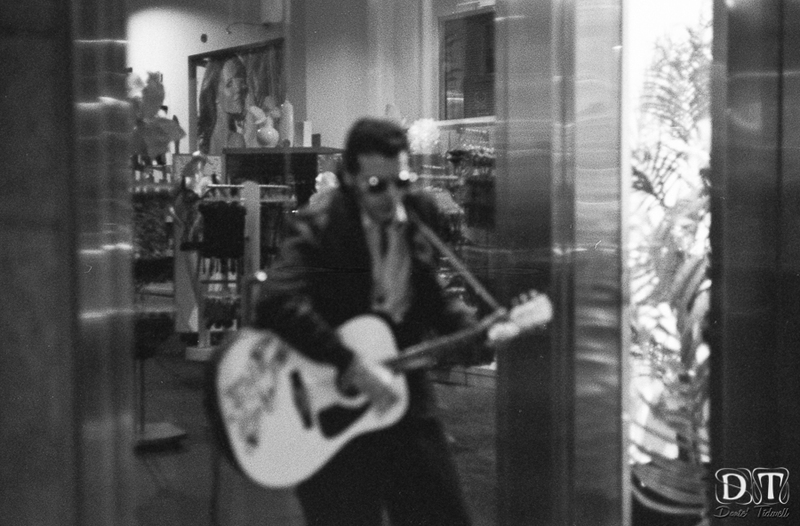 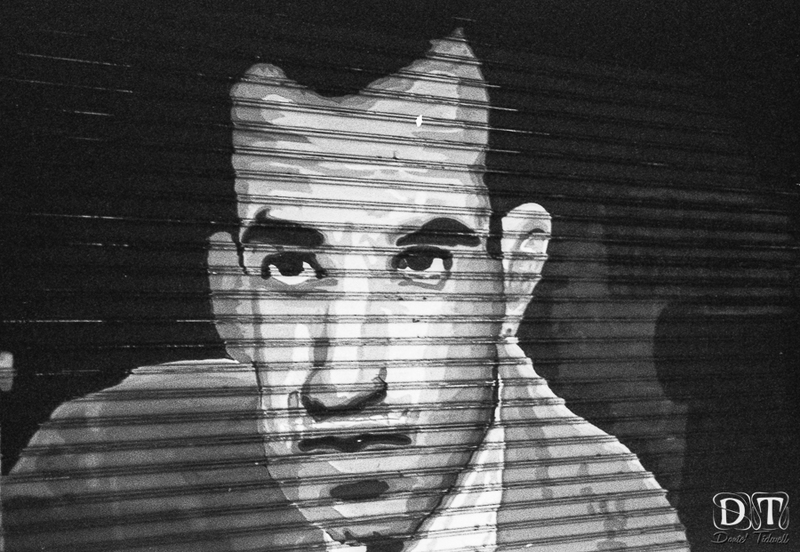 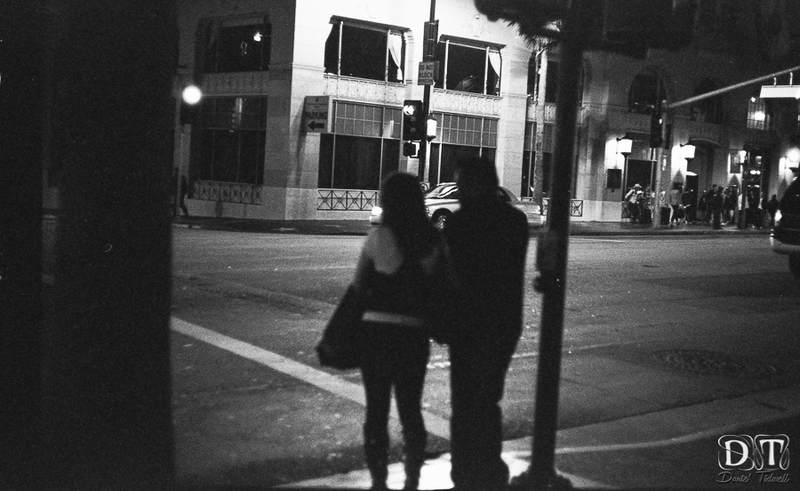 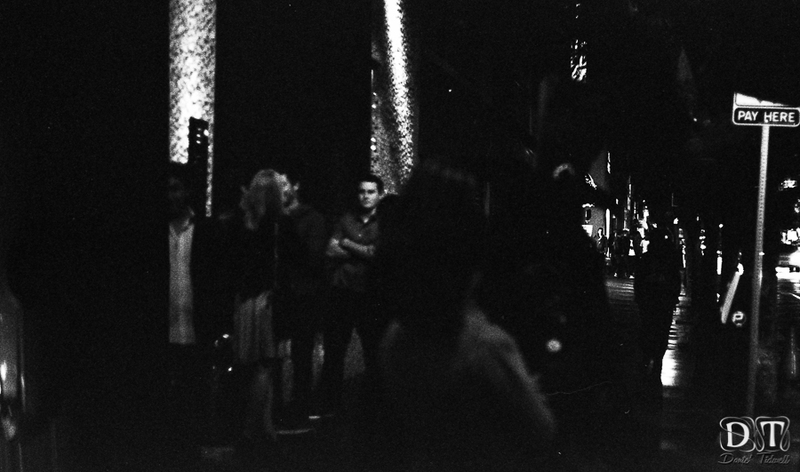 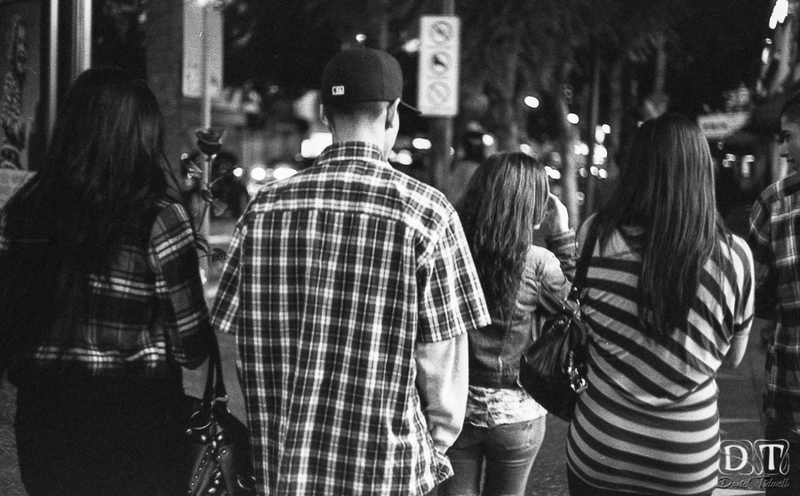 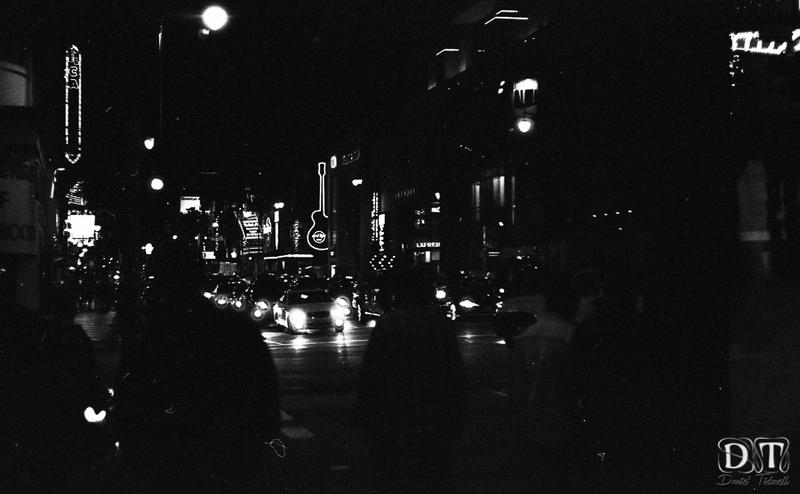 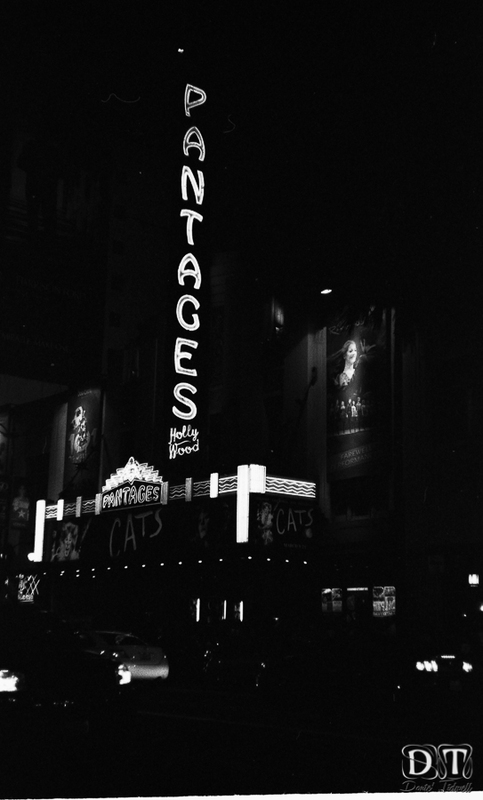 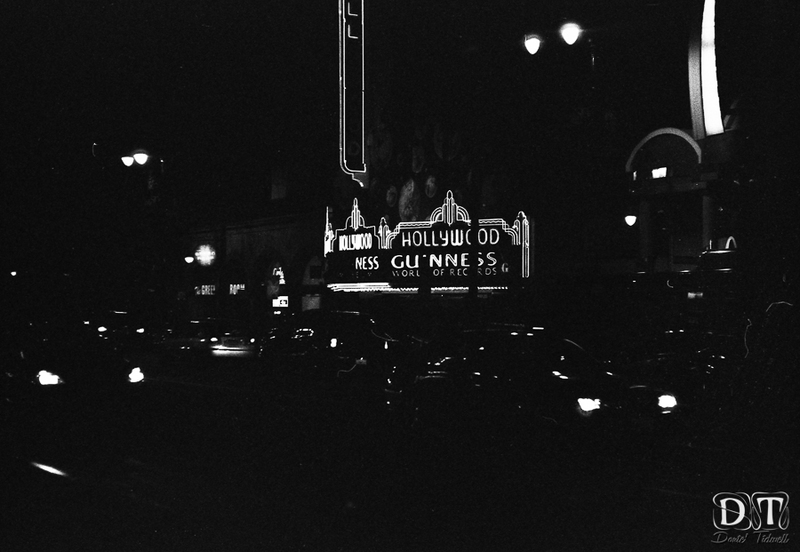 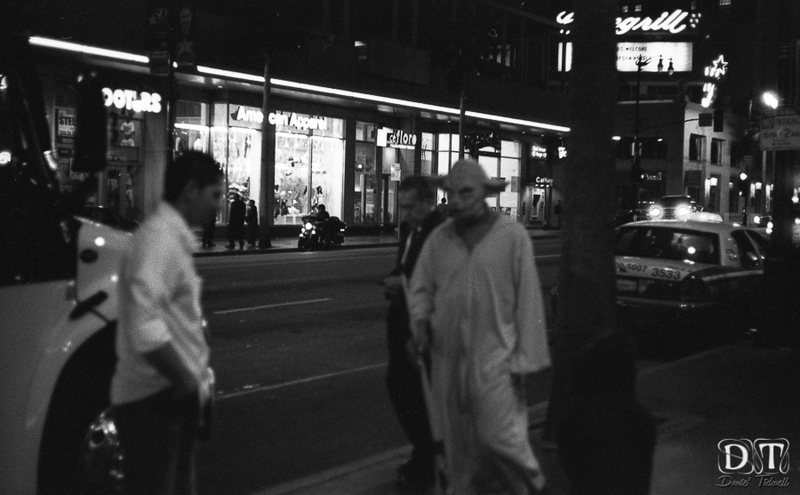 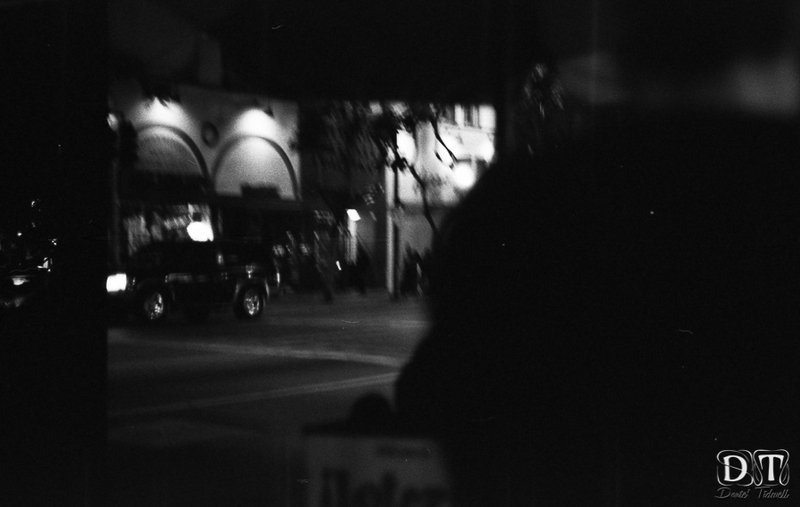 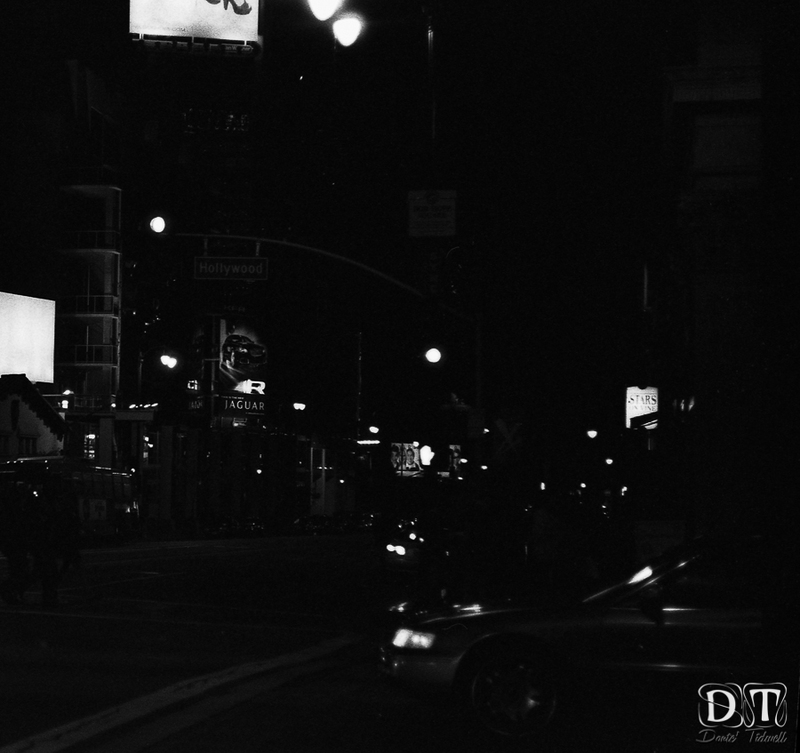 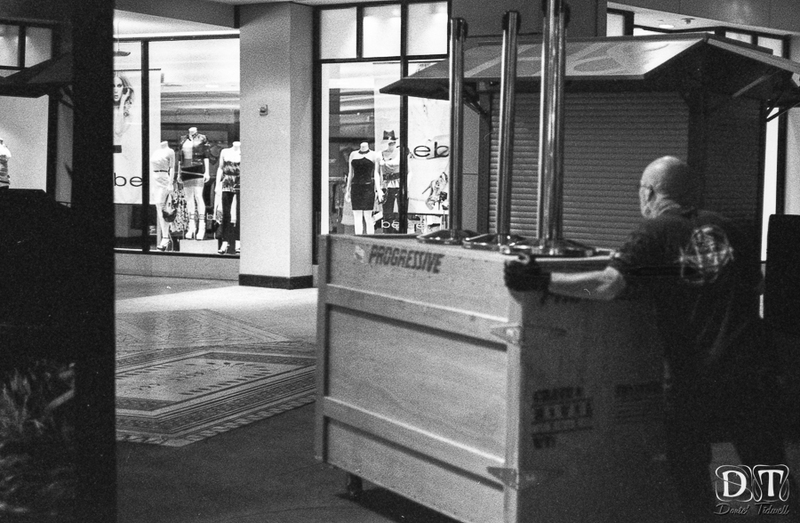 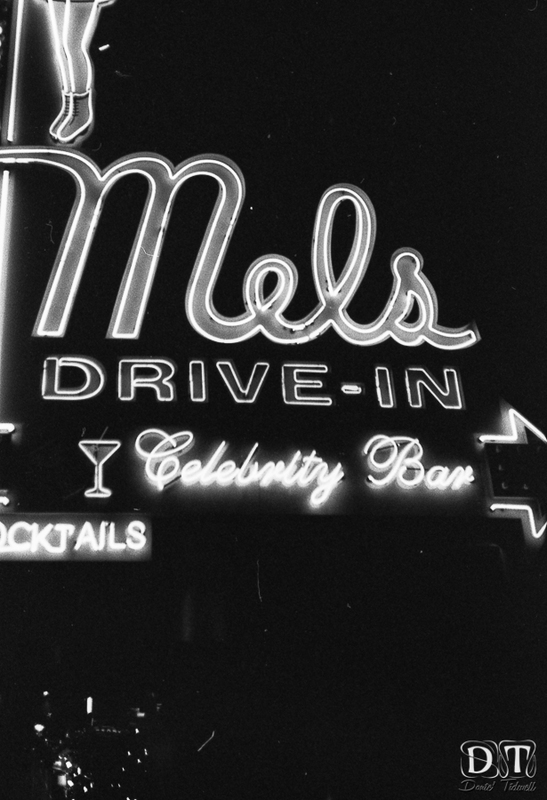 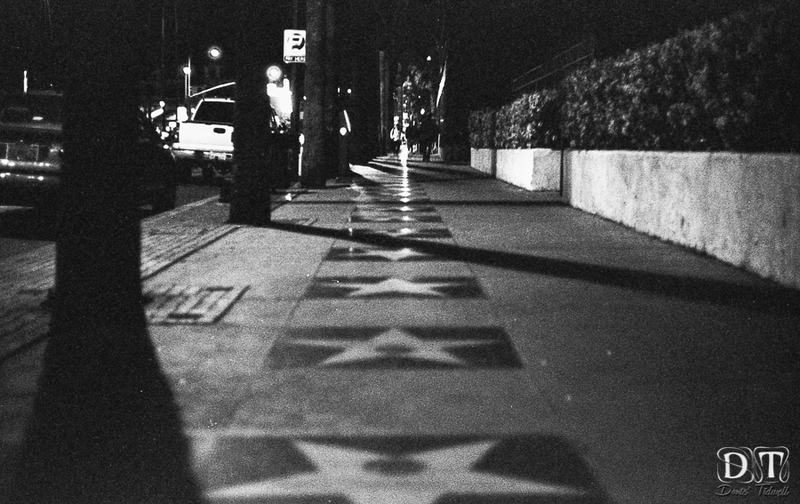 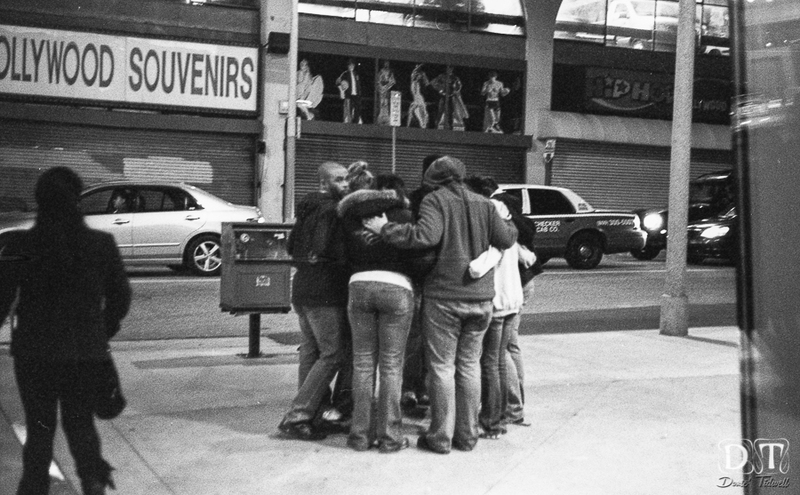 One Friday night I grabbed my iPhone and headphones, my Leica a few rolls of Fuji Neopan 1600 film and hit the streets of Hollywood Blvd to capture some of the nightlife. 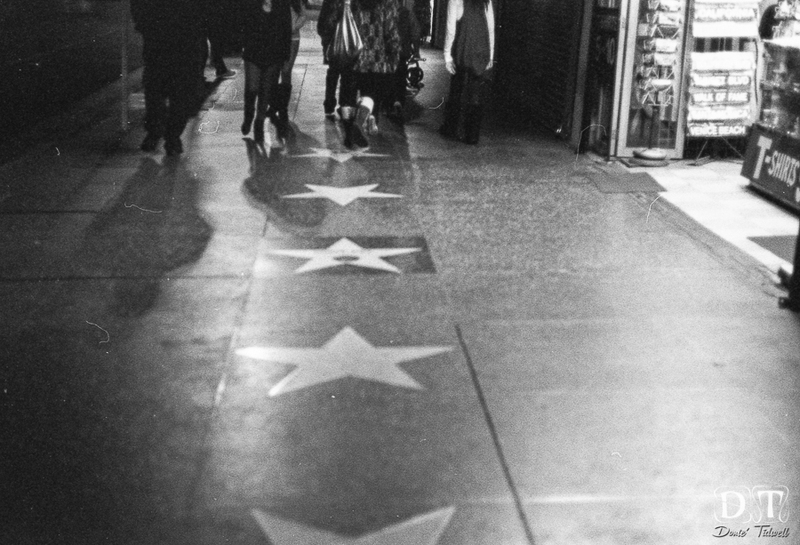 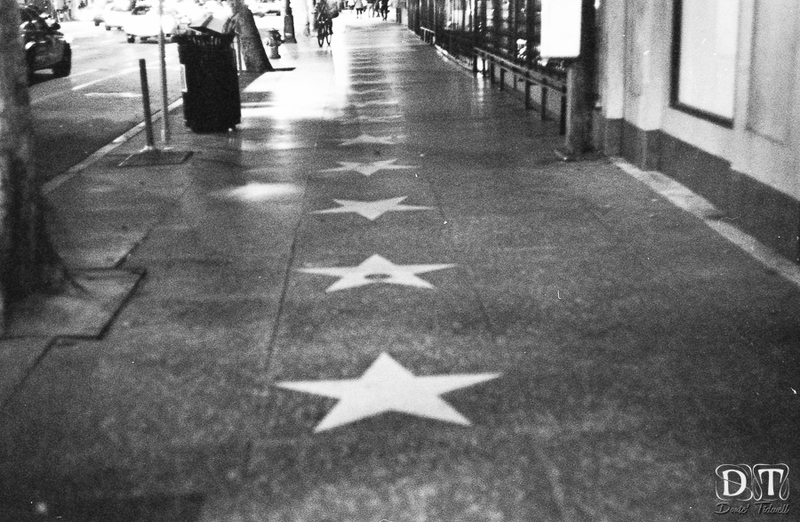 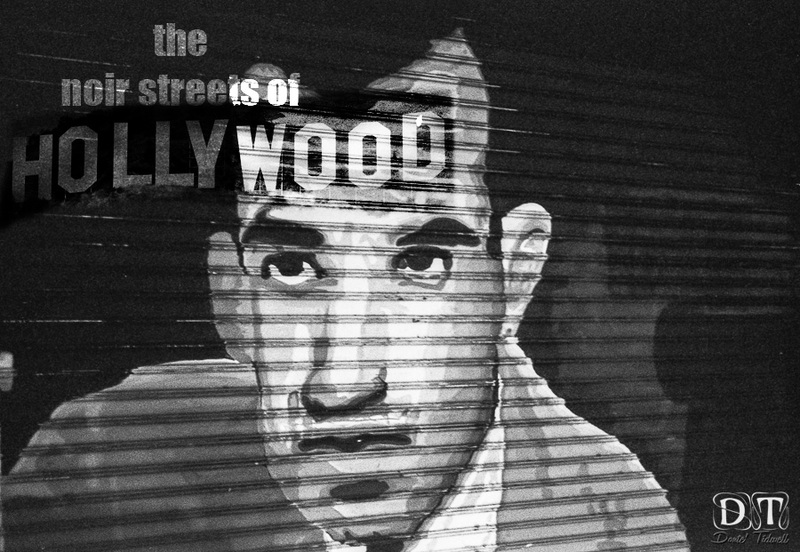 The lights from the cars and store windows, the street performers at Hollywood and Highland, short skirts, high heels, guys with too much cologne, the history of the streets and the starts on the Hollywood Walk of Fame, I love this town. 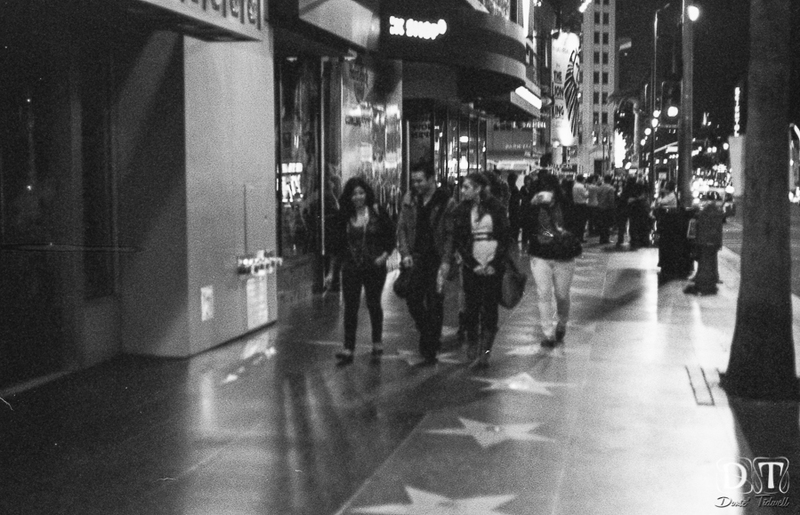 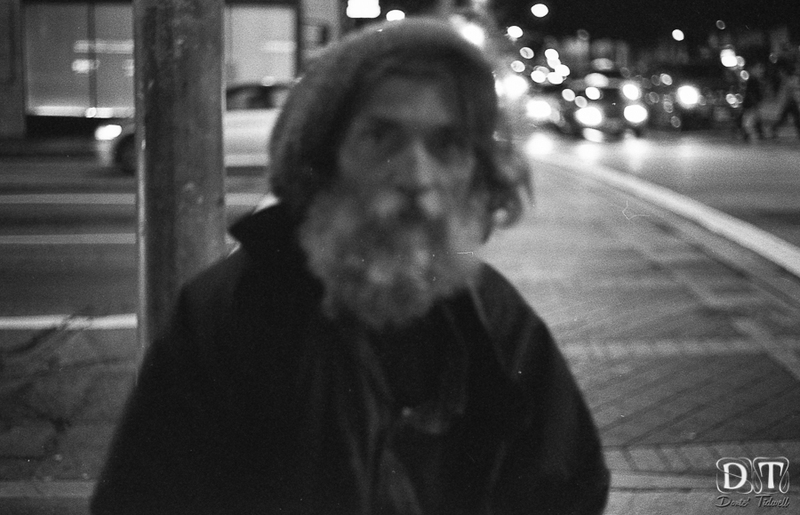 Well since I only had 1600 speed film pushed it to 3200 ISO. 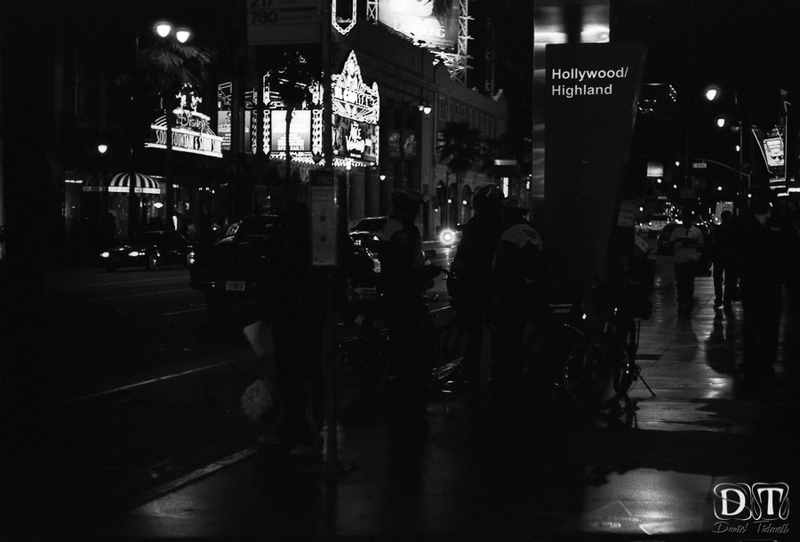 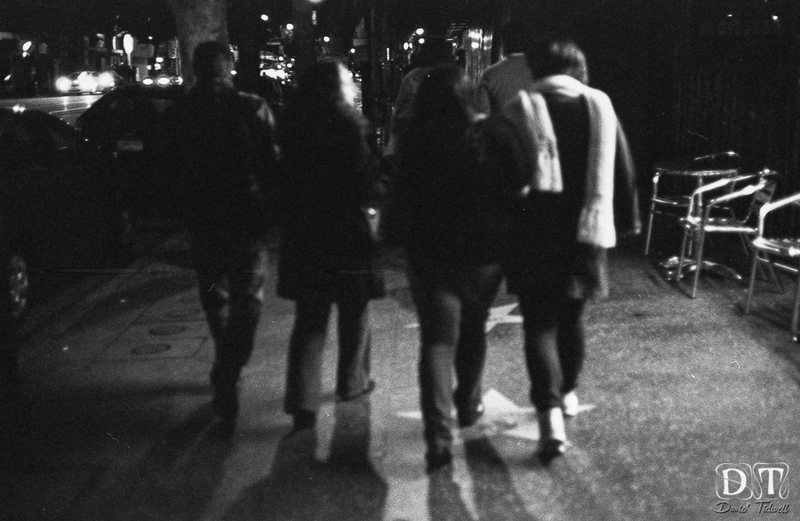 While my pictures came out a little dark, a little out of focus, I think that’s what made me like them so much and gives them that extra Hollywood film noir look.